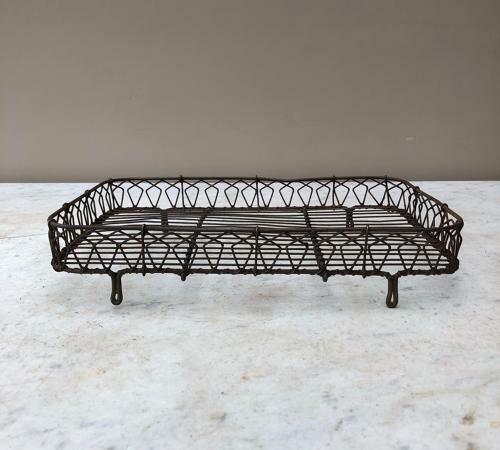 Unusual early wire work cake cooling rack. Ornate edging which is nice and high to stop anything falling off while looking attractive. Not huge but just right for a loaf.